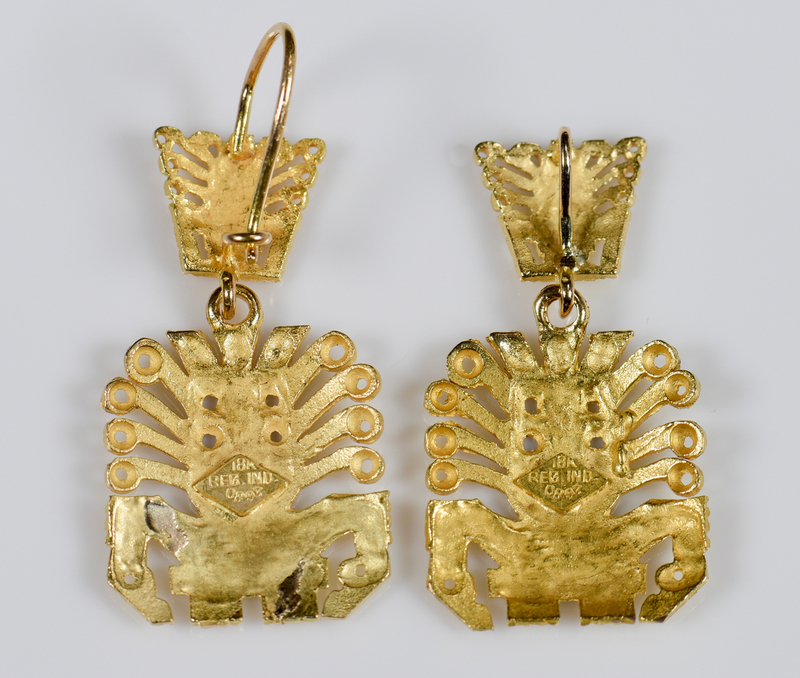 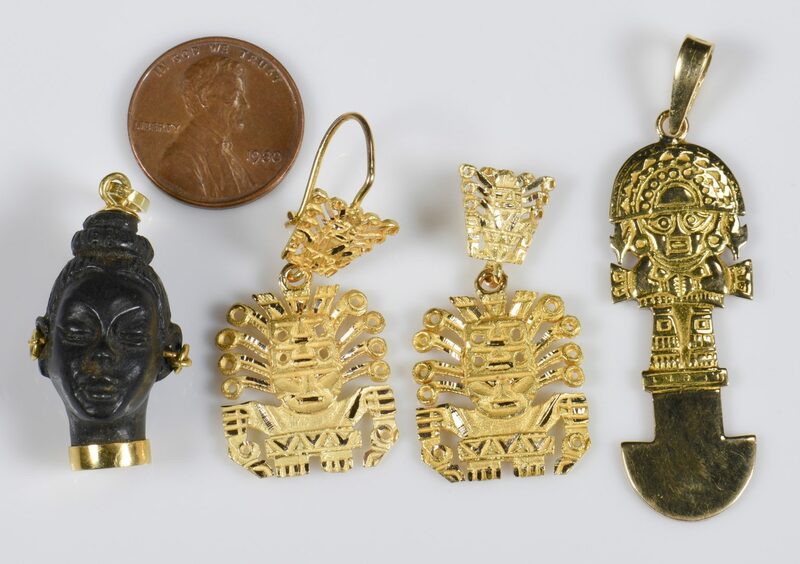 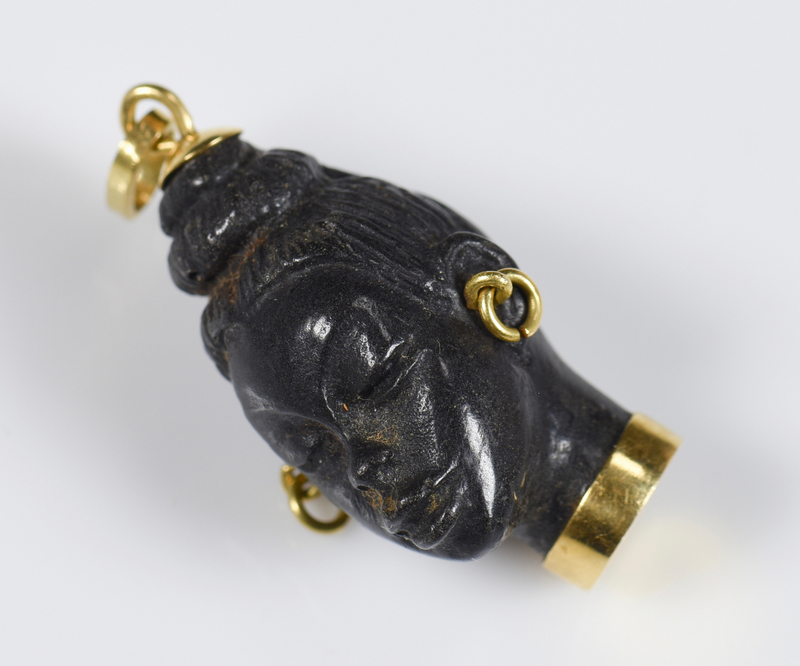 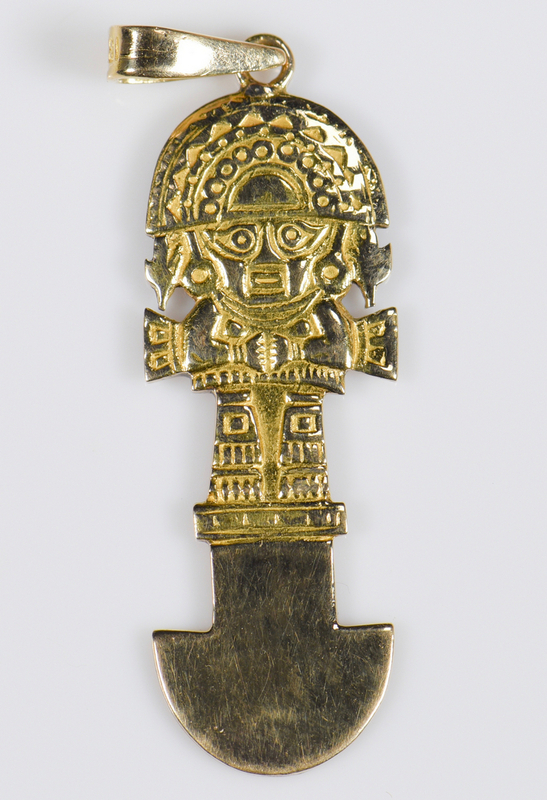 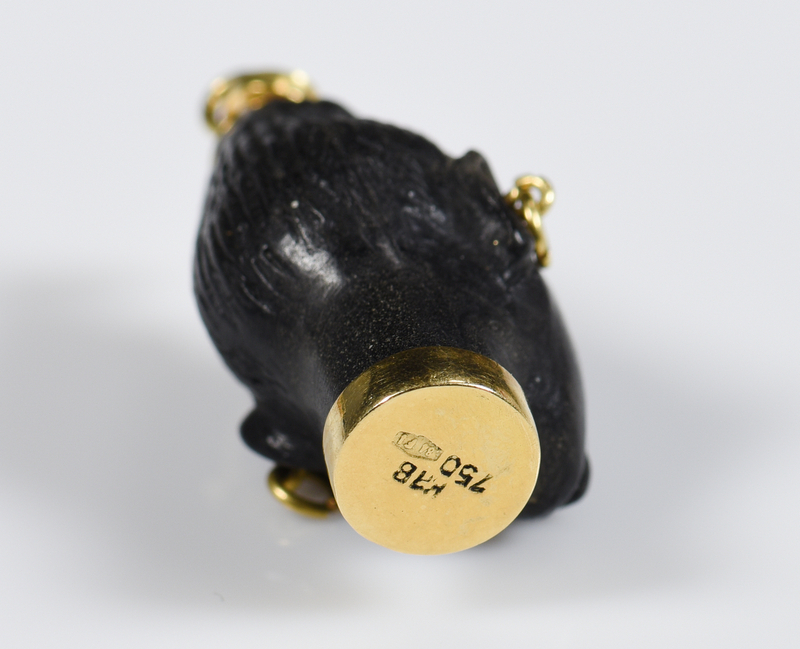 Group of 4 18K yellow gold jewelry items including 1 pendant depicting Incan Tumi god (2" L overall), 2 satin finished hinged charms of Incan god: 1 as earring, 1 as pendant, and 1 carved blackamoor pendant with 18K mounting, 1 1/4" L. 13.4 grams excluding blackamoor pendant. 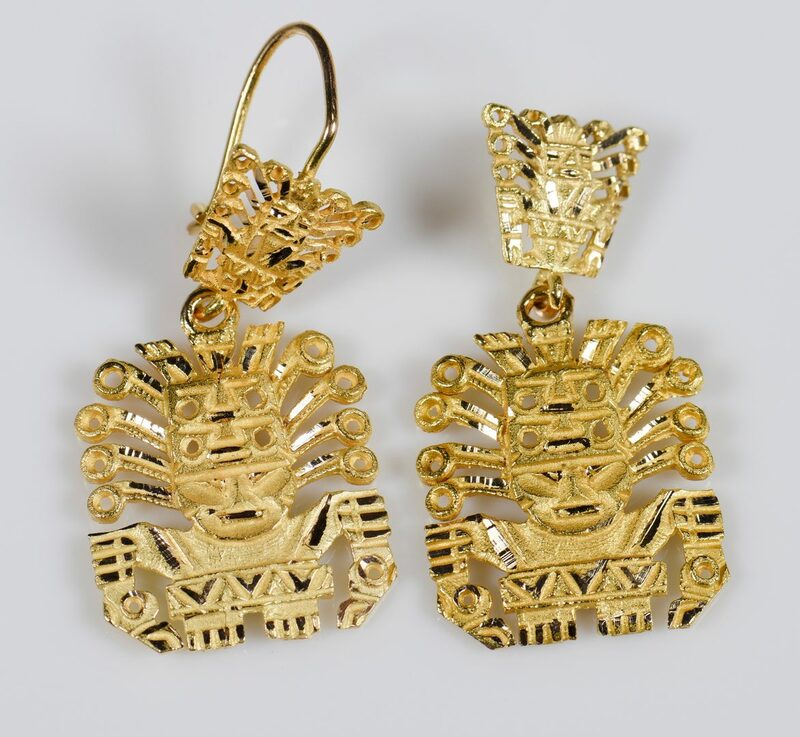 All gold marked 18K. 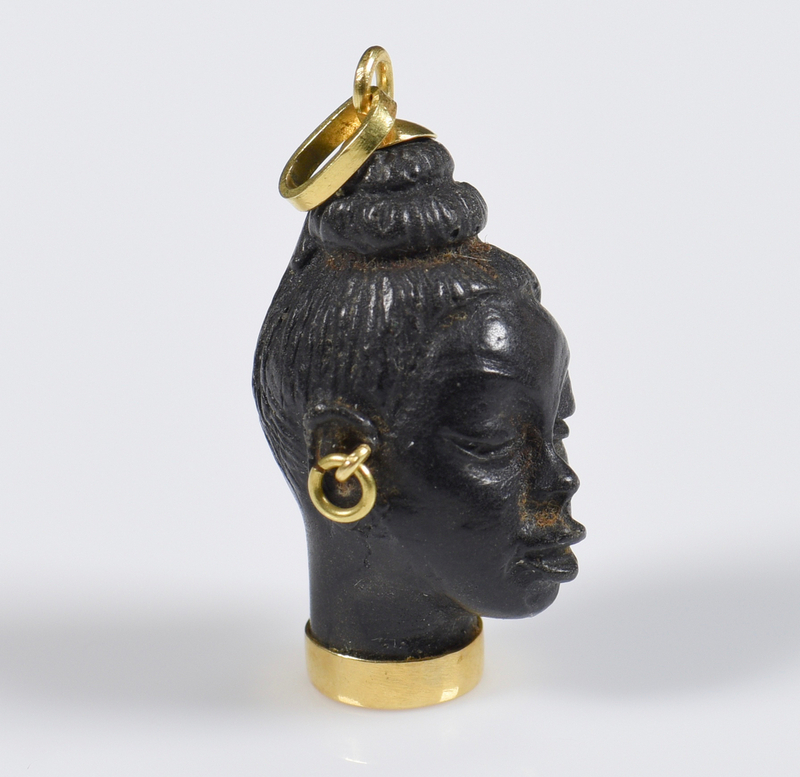 CONDITION: Very good condition with minor surface scratches.